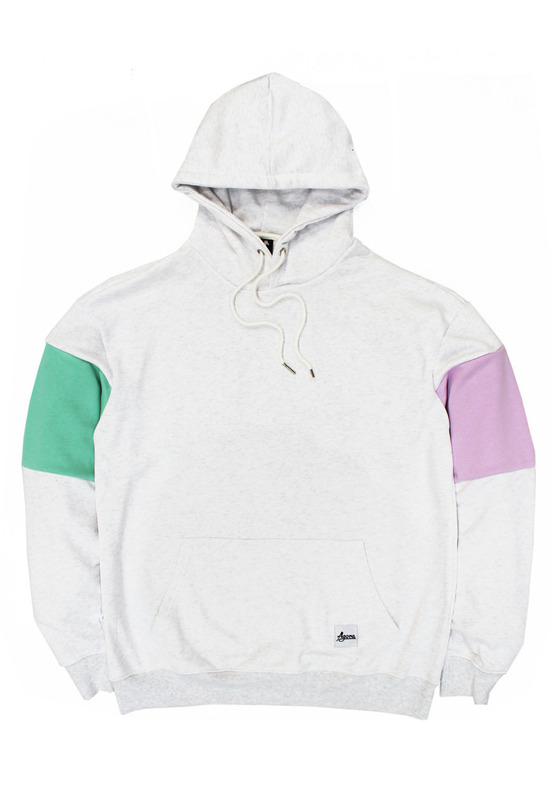 Agora Block hoodie in ash. Medium-light construction hoodie from 100% French Terry cotton. . Tailored, true to size fit with contrast arm panels. Perfect for layering.